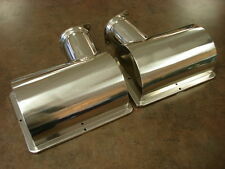 Standard intake system of two plenum covers and the intake manifold. These have been professionally powder coated in FERRARI RED. 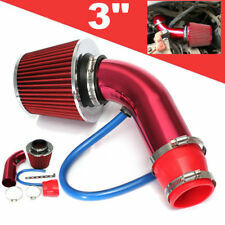 Ferrari 456 intake system red. All three of my Ferrari 456 cars have been “Not Red,” being blue, light gray and dark gray. 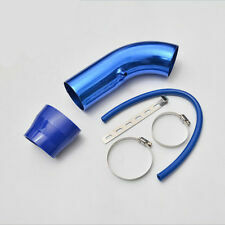 Material: Autoclaved 1×1 Pre-Preg Carbon Fiber with UV Inhibiting Clear Lacquer Coating. Black Star Autoclaved Pre-Preg Carbon Fiber structure gives Black Star parts superior stiffness, aerospace strength & durability compared to traditional hand laid carbon fiber composites. 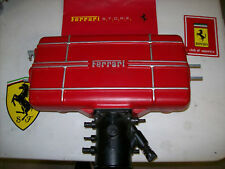 Ferrari 308-Gtsi Intake Manifold / Plenum Oem Part. Air Intake Air Conveyer Box Complete Set. Ferrari California 2012. Compatible with Ferrari California 2010, 2011, 2012, 2013, 2014, 2015. This Part Has Been Repaired Or Reinforced With Fiberglass. It Is Very Solid. USED / OEM. part # 178439 ; Fits the following models :360 Modena. USED & OEM, . Part # 175043 ; Fits the following models 360 Modena. Bay2-2D Part G.
Complete air intake assembly removed from a 2001 Ferrari 360 Spider with 19k miles. Main box is damaged but may be repairable (see photos). Filter lids have minor dents but are usable. Assembly includes sleeve and hardware. Item is an OEM used part in good condition and is covered by our 30 day parts exchange guarantee. 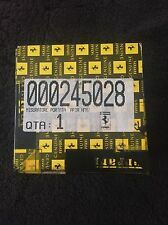 Notes: OEM used part Good condition Air intake assembly Ferrari 360 Spider 19k miles Part# 184877 **Puncture in main box** **Minor dents and scratches** Shipping will run $65 to anywhere in the lower 48 states only. No bids outside this area, please. Auto Works Inc. Madison, WI Stock: 4106. USED & OEM, . Part # 175043 ; Fits the following models 360 Modena. Bay2-2D Part B. Part # 111740. USED / OEM, Fits the following models 308 GT4 Dino (1976), (1979), 308 GTB/GTS. service & parts. NEW Non OEM. Part # 105736A. 308 GT4 Dino (1976), 308 GT4 Dino (1979), 308 GTB (1976), 308 GTB (1980). Part # 121736 ; Fits the following models : 3.2 Mondial/Cabriolet/T, 308 Quattrovalvole USA, 328 GTB/GTS, Mondial Quattrovalvole USA, On the 1988 part is good until car Assy # 78068. Ferrari F355 left hand side (LH; SX; driver's side in U.S.) airbox / air intake. 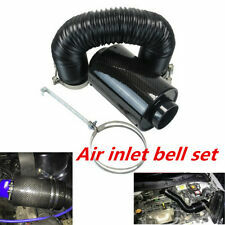 For Motronic 5.2 system. Complete including top and bottom, with air filter inside. Very good used condition. Ferrari part # 164190. 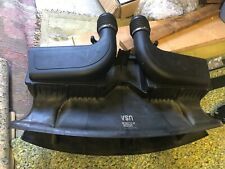 308gts air intake trumpets full set. 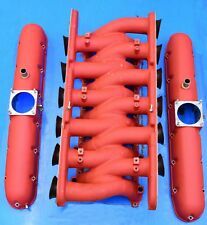 Ferrari Mondial 3.4 t Coupe Cabrio Engine Intake Air Bypasss Sleeve Hoses. 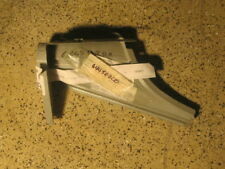 Part number for right side 143257. Part number for left side 143236. Original Ferrari Production. 100% GENUINE FACTORY FERRARI PARTS. Ferrari F355 right hand side (RH; DX; passenger's side in U.S.) airbox / air intake. 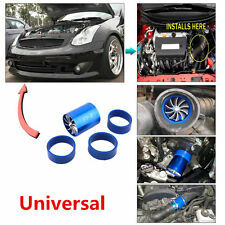 For Motronic 5.2 system. Complete including top and bottom, with air filter inside. Very good used condition;. USED & OEM. Part # ; Fits the following models : Testarossa. Part# 130137 ; Fits the following models : Testarossa. The Rubber Is Not In The Best Of Shape But The Conveyor Itself Is In Very Good Condition. USED & OEM, ;Part #61491500; Fits the following models : Testarossa (1985), Testarossa (1990). 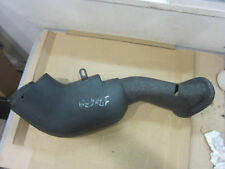 W/ Air Intake Elbow Left 203266 / 204441. © PART SOUTH 2013. PART SOUTH will be responsible only for "the products sold by us". No exceptions! We want to have the opportunity to make it right with you. 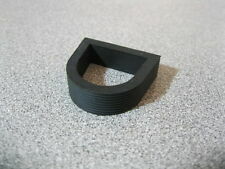 Part # 61401600 ; Fits the following models : 288 GTO. Part # 162397; Fits the following models : 348 ALL, Mondial T.
Part # 111704 ; Fits the following models : 3.2 Mondial / Cabriolet, 308 GT4 Dino 1974, 308 GTB/GTS JAP, 308 GTB/GTS USA, 308 GTBi/GTSi USA, 328 GTB/GTS (1985), 348 GTB/GTS/GTC/Spider, 348 tb/ts, 412, 512 TR, F40, F512 M, Mondial 8 USA, Mondial QV USA, Mondial t Coupe & Cabriolet, Testarossa TR 90. Customize your Ferrari with classic Ferrari carbon fiber. Fits 360 Spider, Coupe, and Challenge car models. Ferrari round black carbon fiber fuel door. EMPI - EPC. WEBER - IDA. YOUR GUESS IS GOOD AS OURS. USED & OEM, . 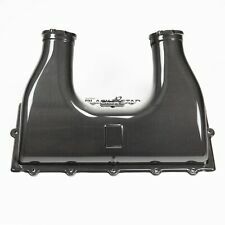 Part # 175043 ; Fits the following models 360 Modena. Bay2-2D Part F.
See (#19) In Diagram. Part # 180143 : Fits the following models : 456 M GT/M GTA. Part # 169759 ; Fits the following models : 355 (5.2 Motronic). Call us if you need hard to find screws, washers, nuts, bearings, bushings, bolts or any other part ! USED & OEM, . Part # 175043 ; Fits the following models 360 Modena/Spider. loc: 2-5-8-A- box BPartC. Used & OEM, . loc: 2-5-8-A- box A. Up for grabs is a Bosch Absolute Pressure (altitude) Sensor. I am parting out several E36 M3s and have 1000s of other 1980-2000s BMW parts. USED & OEM, PART # 113974 ;Fits the following models :208 GTB/GTS Turbo, 308 Quattrovalvole, 400i, 512 BBi, Mondial QV Coupe & Cabriolet, Testarossa TR 85-87-90. Compatible with Ferrari California 2010, 2011, 2012, 2013, 2014, 2015. P.N // 280218238 //228396. Used & OEM, . Part # 142054 ; Fits the following models : TB TS & 2.7. Ferrari 355 Intake Plenum. 1997 (Fits More). Ferrari 355 Intake Plenums off a 1997. which is common. Don't miss out. the last list price on a pair of these from the dealer!